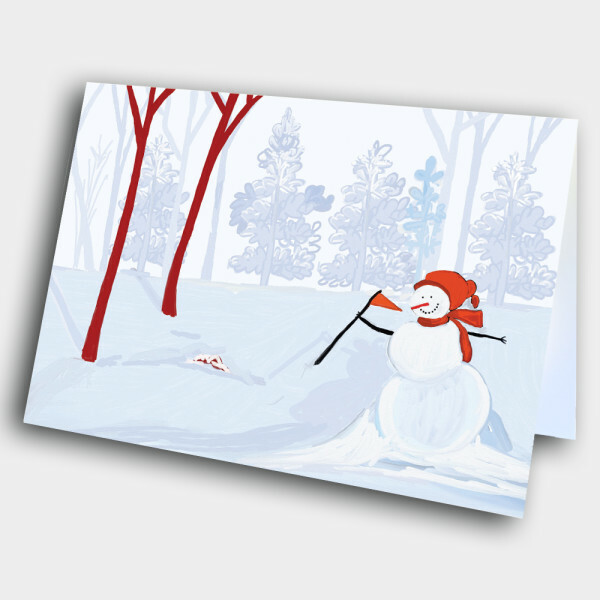 Send a warm, wintry holiday greeting with this cheery snowman holiday card. 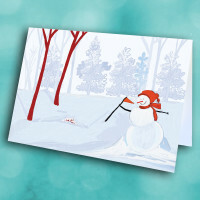 This snowman holiday card is sure to bring some warmth into the chilly season. 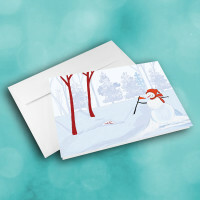 The snowy scene on the front features a happy snowman in the midst of a wintry forest. 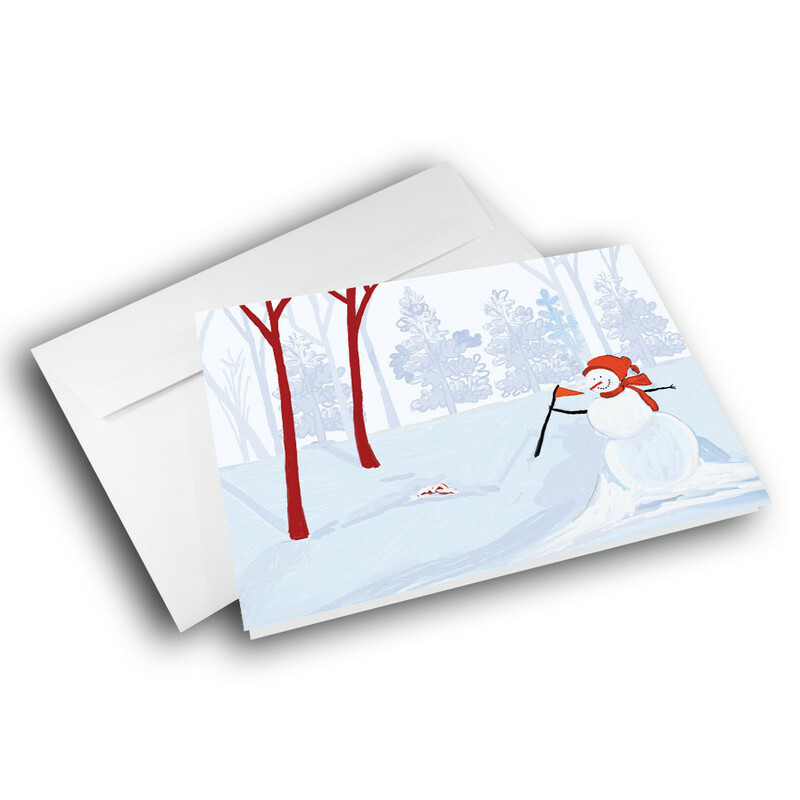 The pale-blue inside is covered in an intricate diamond pattern, as well as a classic message. 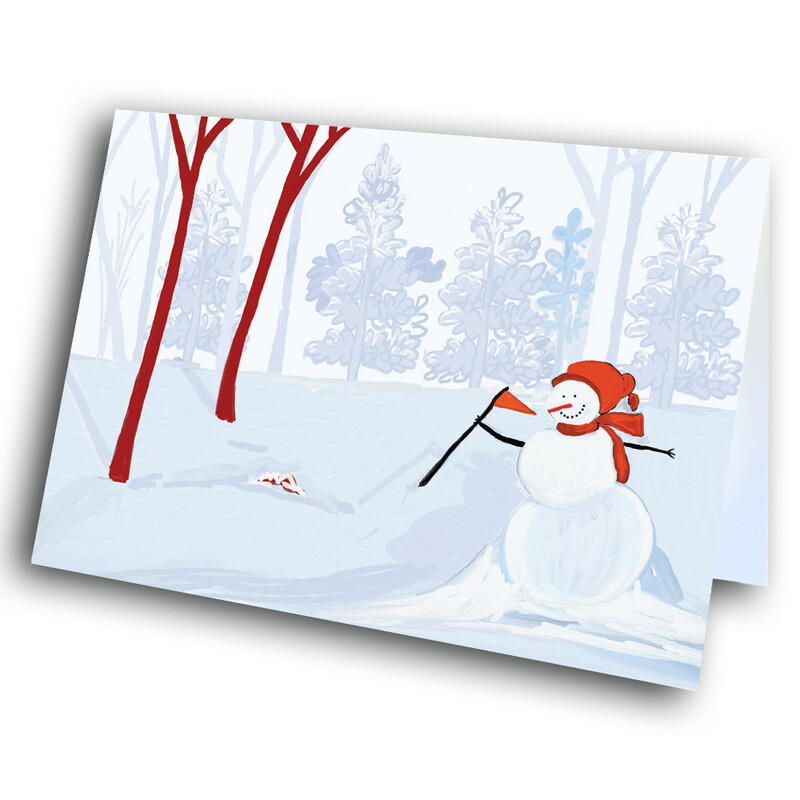 This can be replaced with a custom message to give the card a personal touch.